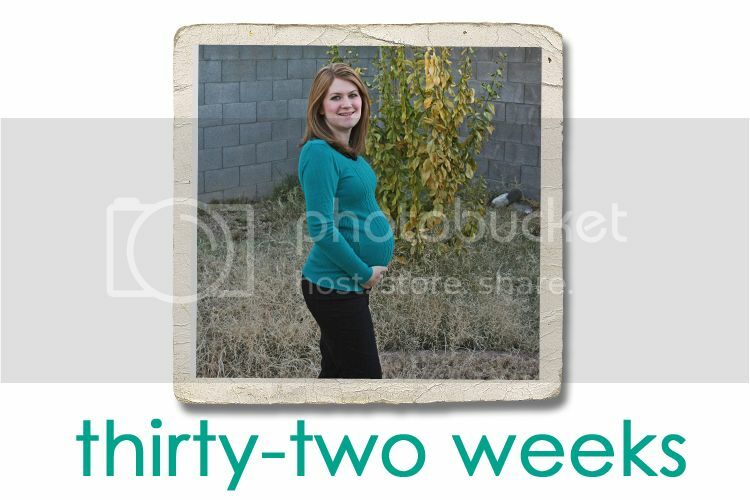 Jordy Liz Blogs: Thirty-two weeks. We are getting closer to meeting you as each day passes. I had my bi-weekly appointment this week. Starting in two weeks, I'll be visiting the doctor each week as your due date gets closer. I know that will make this time go by even faster. She did all of the routine tests and made note of how uneventful this pregnancy has been. From a medical standpoint, yes, it's been highly uneventful. She said we "do pregnancy well," me and you - our blood pressure, weight, vitals, heartbeat. I feel blessed that the appointments have been so routine and easy. From a personal standpoint, however, this has been the biggest event of our lives so far. You are measuring bigger at almost 35 weeks. She confirmed that you will most likely be in the 7-pound range by the time you make your entrance. I was only 6 pounds, 14 ounces at birth, so I'll blame your dad if you're huge. You're still head down and still nesting in my right hip as you have been for the last two weeks. I'm thankful you've already moved into that position but secretly hope you move a little more to the left so I can have a little less pressure on my right leg. But I know I'll miss all of your movements inside me come March. This coming three-day weekend will be Operation Nursery. We've completed your crib and bookshelf; we still have your dresser and window treatments to complete. I'm looking forward to seeing it all come together. You look amazing! I can't wait to see pictures of the nursery. And I am also in awe of people who can wait to find out the baby's gender...it makes things even more exciting!